(MENAFN - The Conversation) A quick scan of political headlines over recent election campaigns will tell you that there is a trust deficit in Australian politics. Alarmingly, surveys uniformly find that public trust is falling in Australia. The Murdoch tabloids (Daily Telegraph and Courier Mail) posed this question on their front pages with the headline 'ScoMo vs Shorten: Who do you trust?' on March 28, perhaps implying trust was a one-sided political proposition. But by the following week, the headline read: 'Aussie voters short on choice' after their commissioned YouGov Galaxy poll revealed low public regard for both political leaders. The poll showed 30% of respondents believed Scott Morrison to be 'untrustworthy', compared to Shorten on 34%. And when asked if they believed the leaders to be 'well-intentioned', the results were grim: just 34% believed Morrison to be well-intentioned, and 30% for Shorten. The biggest problem, of course, is decades of broken promises by both sides. 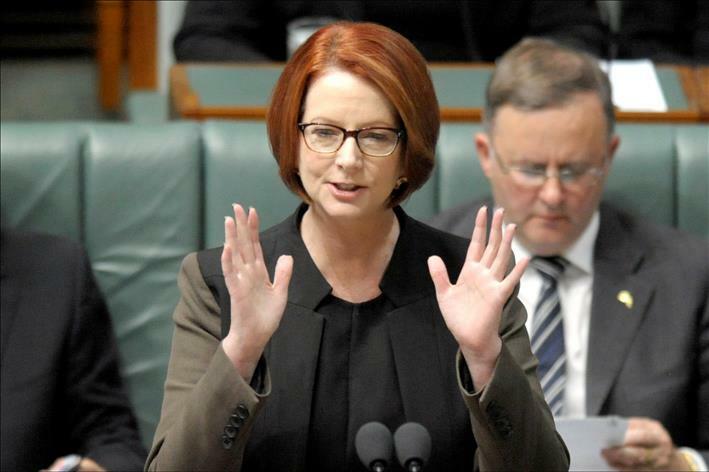 Gillard broke her promises to balance the budget and not to introduce a carbon tax. Campbell Newman promised not to sack public servants. Abbott campaigned on the restoration of trust and high standards, but also made promises he can't have intended to keep - and didn't need to make to win. Using the same methods of the Comparative Party Pledges Project (CPPP) , which has examined over 20,000 election promises made in 57 election campaigns in 12 countries, we analyse the fulfilment of election promises in six policy areas by the Australian Labor Party (ALP) under the leadership of Prime Minister Julia Gillard during the 43rd Parliament. Among the reasons why we chose to analyse the Gillard government's performance was the common criticism that it had broken its much-publicised pledge not to introduce a carbon tax , creating a perception that the government could not be trusted. That the Gillard government was able to keep the majority of its pledges but be tarred with perceptions of deception is what some academics label the ' pledge puzzle '. So why is there a disconnect between perceptions and reality? One reason is that not all promises are equal. Implementing a carbon tax was seen as a big promise to break. Other famous examples include Bob Hawke promising at his 1987 election launch that no Australian child would live in poverty by 1990, and John Howard promising in 1996 to 'never ever' introduce a goods and services tax. Measuring the importance of a promise to voters (salience) is an important aspect that may help us better understand the 'pledge puzzle' and mistrust of politicians. Overall, our findings give cause for optimism about the role of election promises in representative democracy. We found that politicians do take promises seriously, and that they do try to keep them. Yet, this finding by itself is unlikely to bolster Australians' trust in their elected representatives at this election until politicians' report cards improve on other measures. Dr Andrea Carson will be available for a Q+A from 1pm - 2pm, AEST on Tuesday, April 16 to take questions on this topic. Please post your questions in the comments below.